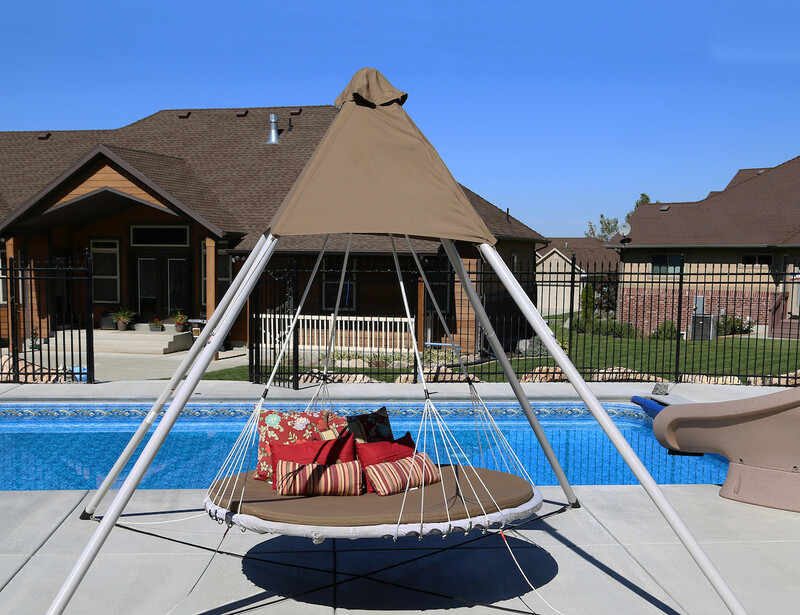 Enjoy your own utopia right in your backyard with the SkyBed, the suspended luxury lounger swing. 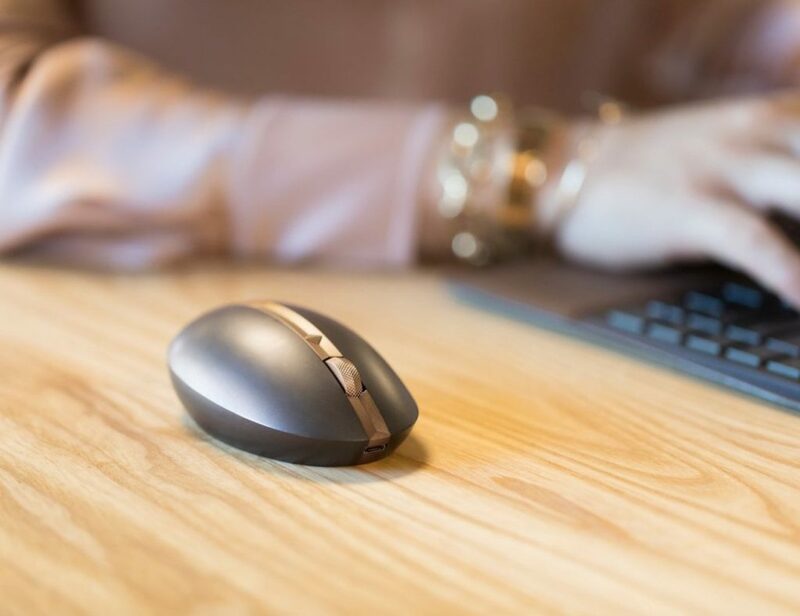 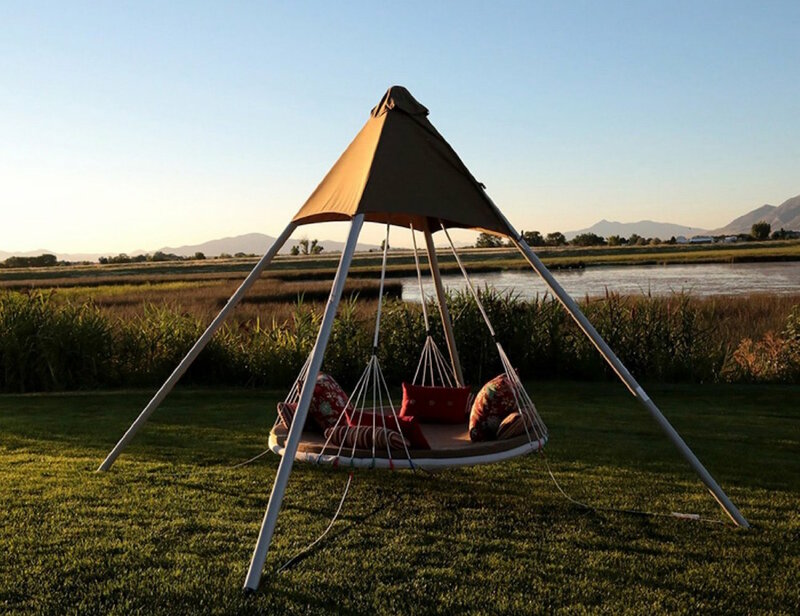 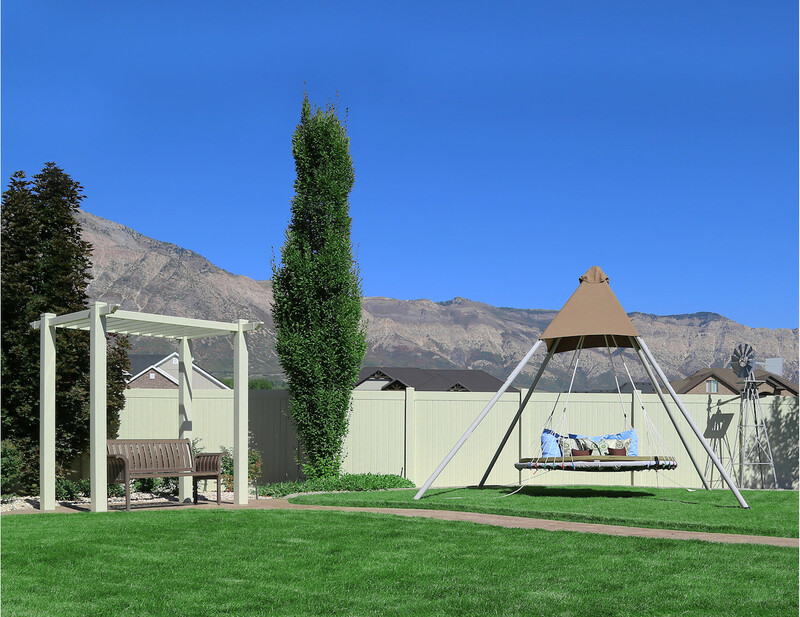 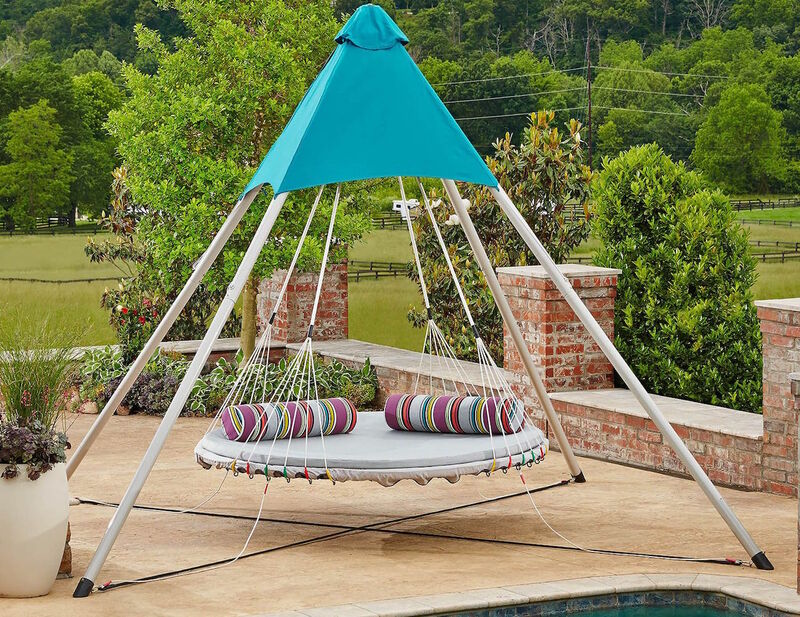 Using four angle and connected steel posts, this strong and durable structure is able to suspend the swing in the air allowing you to relax and float. 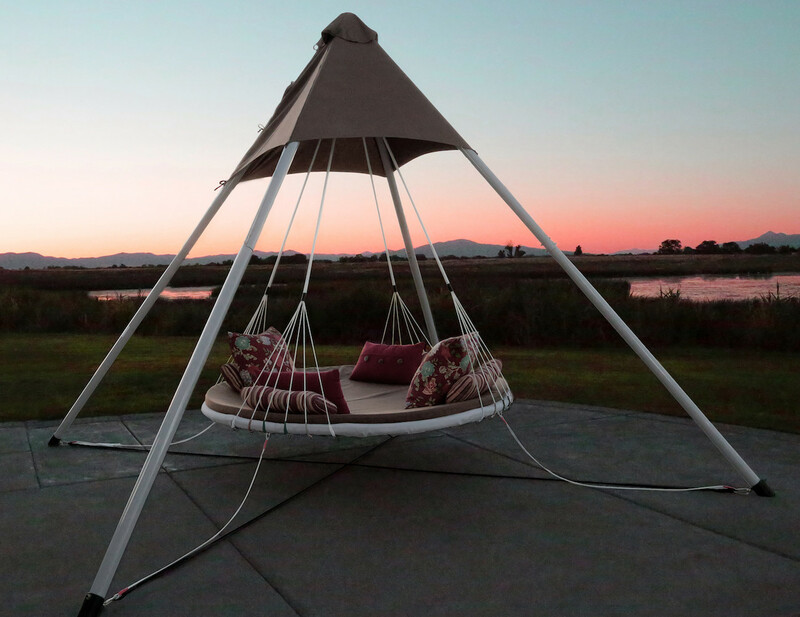 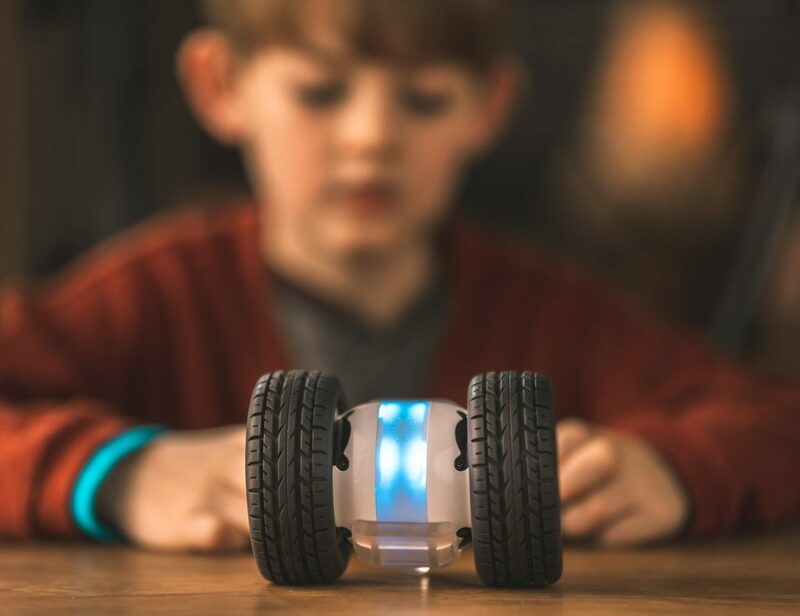 In the middle or the structure is an ultra luxurious foam cushion measuring six feet in diameter to provide enough space for the whole family. 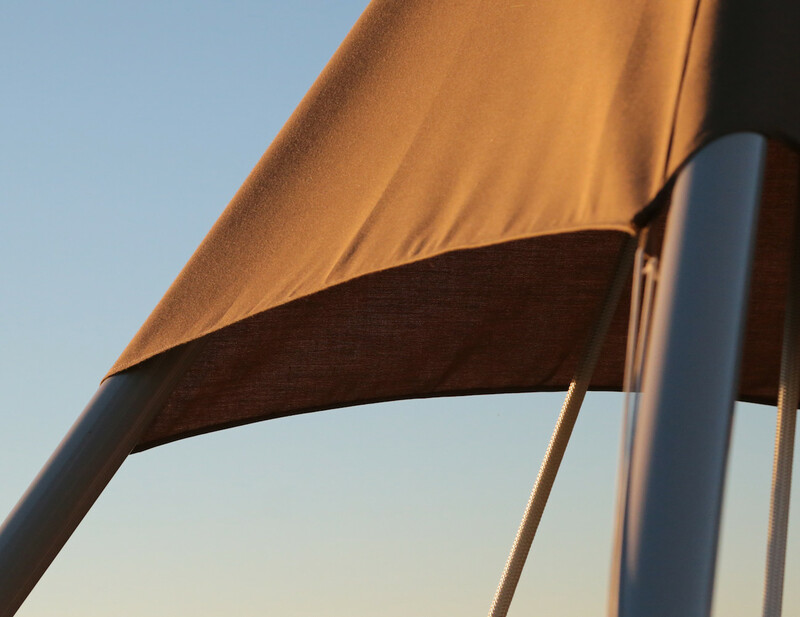 The SkyBed is adjustable in height to suit any environment while the UV-resistant Sunbrella keeps you protected from the harsh rays of the sun. 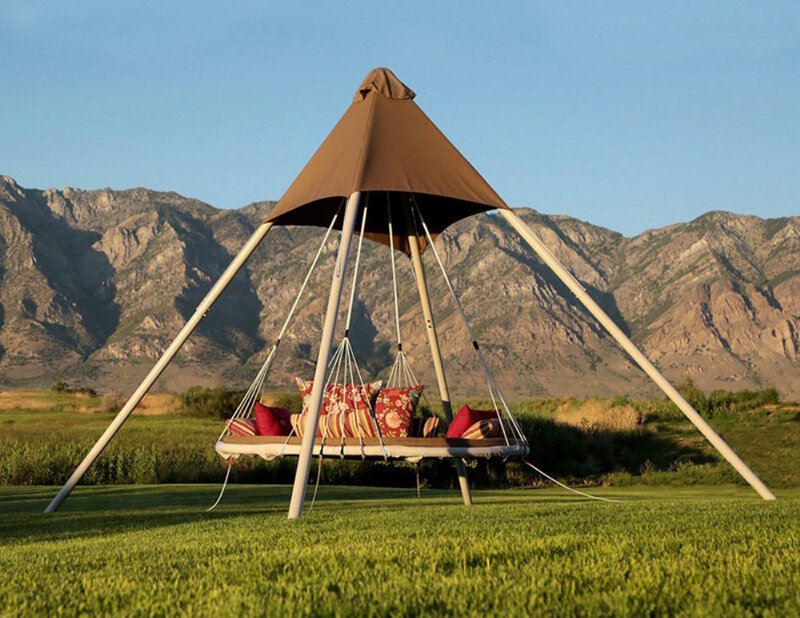 Weather and rust resistant, the SkyBed will become your new favorite haven for a post-BBQ nap, your morning cup of coffee, or a romantic seat in the evening.